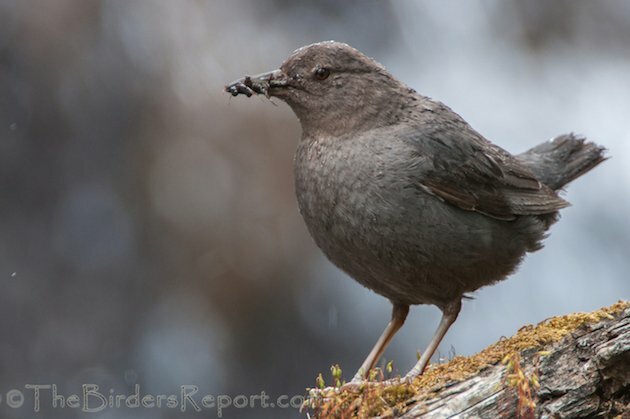 One of the best things about our annual Audubon chapter’s Lassen Park campout is that we get to see several species of mountain birds that we don’t normally see in the Sacramento Valley. 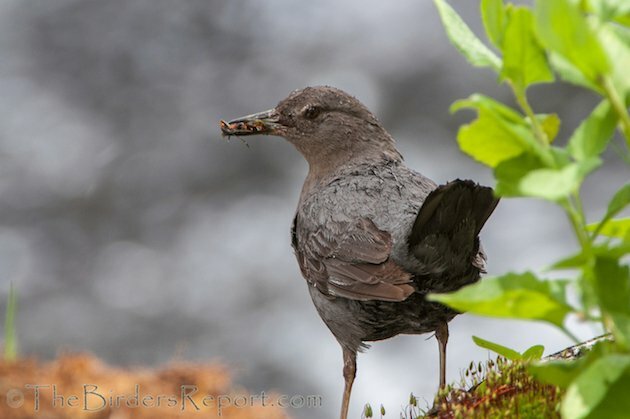 I know for a certainty that I will be able to see one of my favorites, the American Dipper (Cinclus mexicanus), whenever I visit Lassen Volcanic National Park. 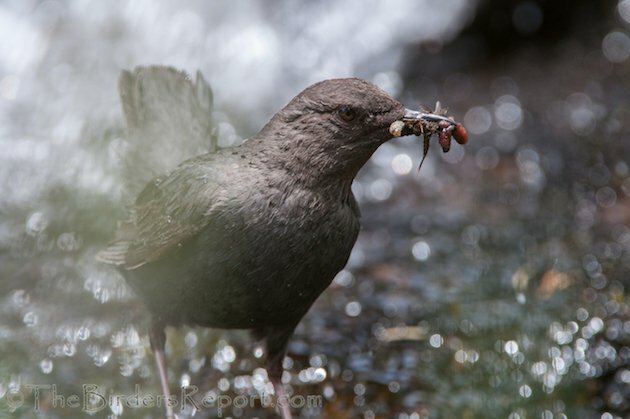 I call this bird the Water Ouzel because I like saying it – Water Ouzel. Click on photos for full sized images. 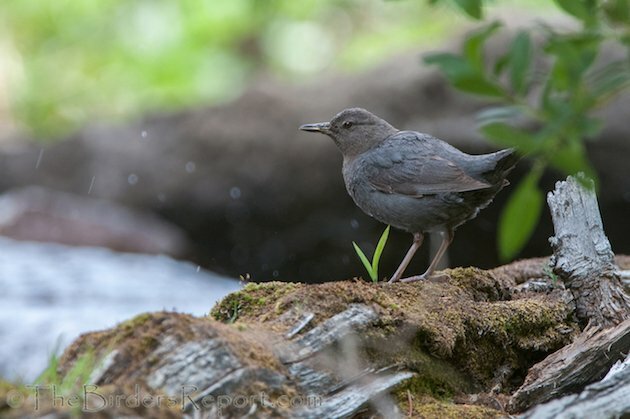 The American Dipper is North America’s only truly aquatic passerine, feeding on stream insects, insect larvae and sometimes other invertebrates, small fish, fish eggs, and flying insects. 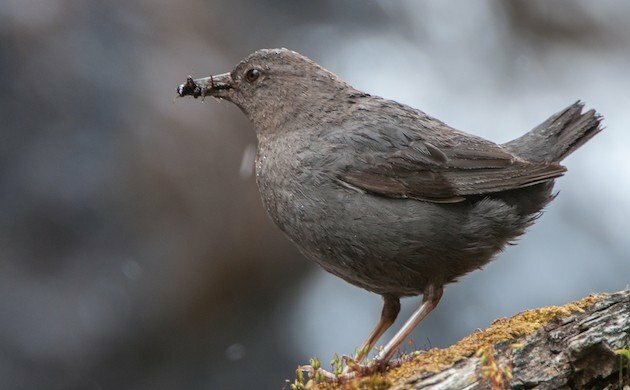 How many birds do you know that can fly underwater? On the last day of our campout I wanted to see both the Mountain Bluebird and Cassin’s Finch before heading home, so I headed up to Bumpass Hell where both of these species can usually be spotted. I wasn’t disappointed. 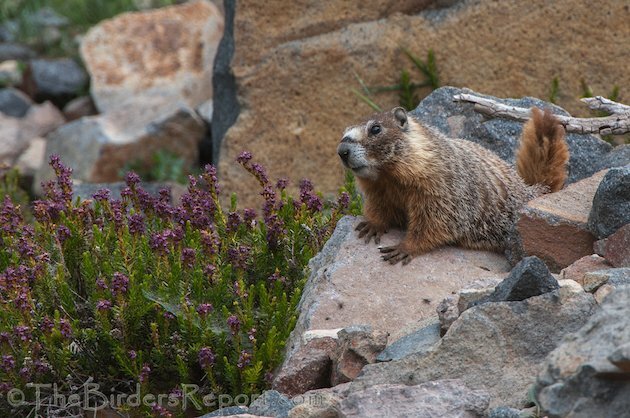 Not only did I find both species at the parking lot, I found a friend photographing some Marmots. 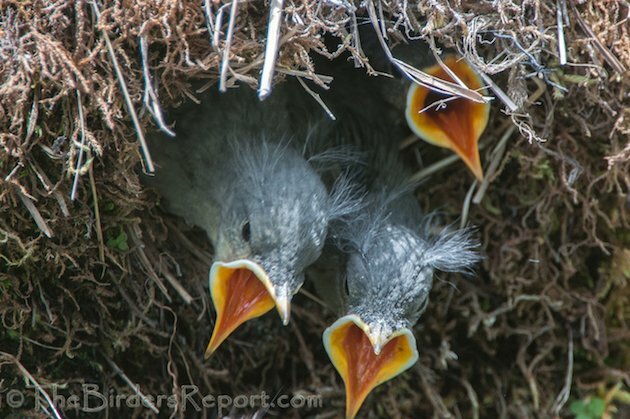 I knew they had to be close to fledging the way they were sticking their heads out of the nest. 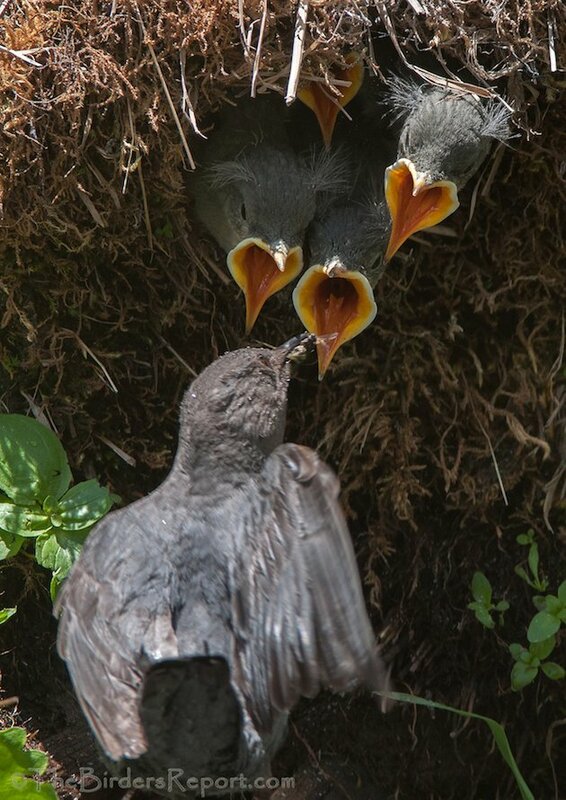 Plus the adults were feeding them every few minutes. 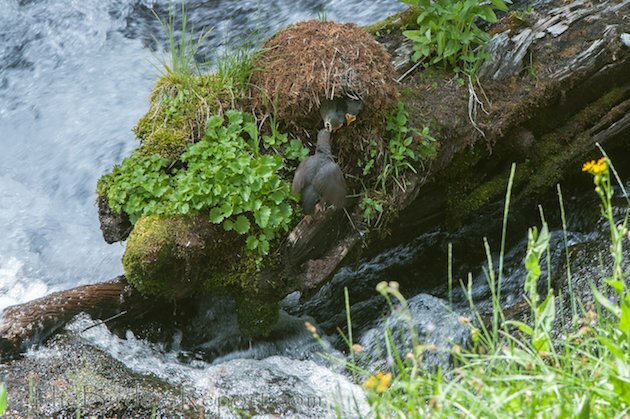 They were begging so loud when the parents came with food that you could hear them above the sound of the rushing creek! Are you kids ever satisfied? 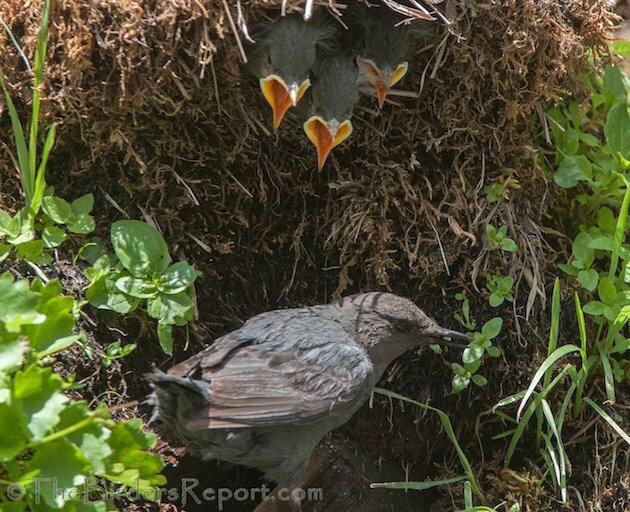 I shot this video of the adults feeding the nestlings at King’s Creek. 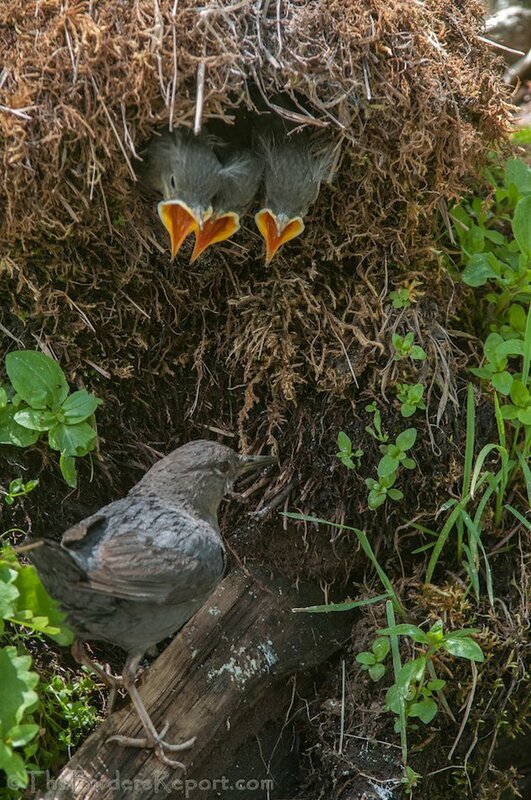 Near the end of the video (2:05) you might catch one of the nestlings defecating out of the nest between two of its siblings. Awesome images of cool animals. Thanks for sharing! Amazing photos! Thanks so much! Awesome photographs! They make me smile. 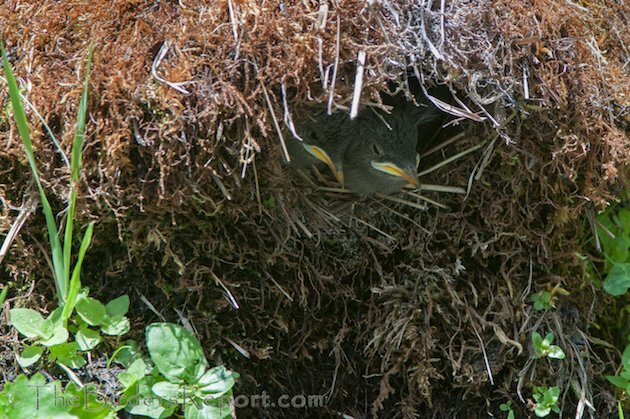 It is so cool to be able to identify the builder of the mossy nest my children and I found on Meadow Creek- in North Idaho the other day. 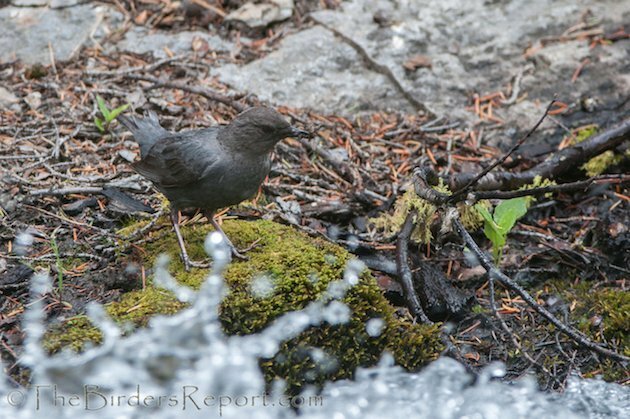 Now I know…The Water Ouzel! Where Are You Birding This Third Weekend of July 2015?